Pinups: EU; EMI; 264-7947674; 1990. 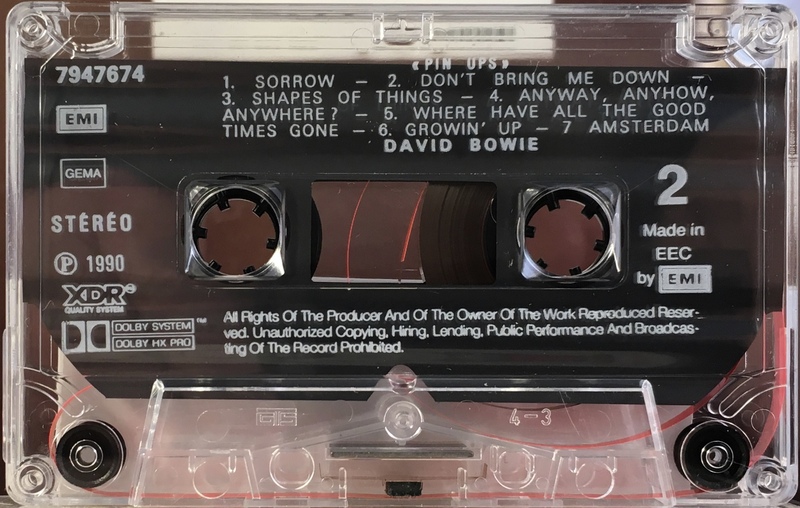 Although made in France (264 prefix on catalogue number), the cassette is intended for Europe wide distribution. Titles in English; information in English. The mechanical rights are credited to GEMA (Germany) and states Made In EEC. Stereo is the only word in French on either side. The cover information is in English and marked EMI France. Like their CD and LP counterparts the cover has been enhanced with photographs and lyrics etc. Cover is folded perforated glossy paper. White ink direct to clear shell with insert. 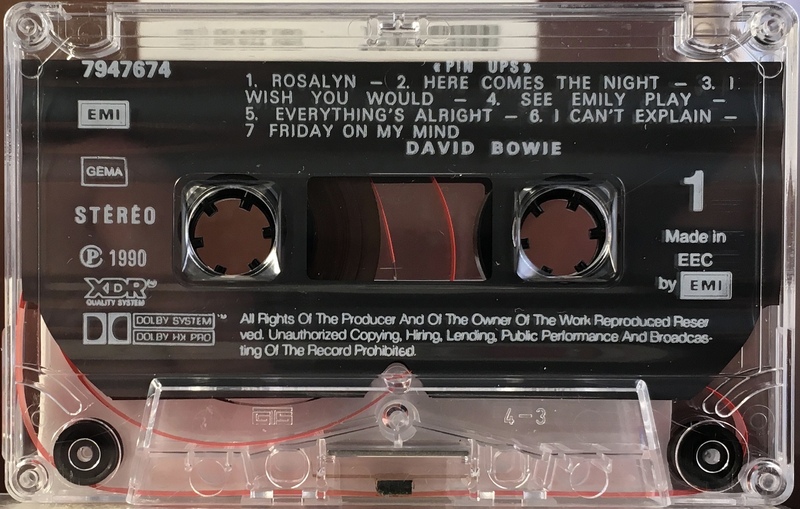 The track sequence has been slightly adjusted from the LP format so that tracks 1 from side 2 ‘Friday On My Mind’ has been added as the last track on side 1 to give room for the bonus tracks: ‘Growin’ Up’ and ‘Amsterdam’to be added to side 2.